I'm so excited to be linking up with the other blog that I'm a part of, Middle School Mob (MSM), for an awesome giveaway! MSM is a collaborative blog of 16 teacher/authors from multiple subject areas. To learn more about MSM, click here. We're having a giveaway of our most "Wish Listed" TPT Products! Make sure to enter to win some amazing activities, lessons, etc. that your students are sure to love!!! The product I have donated for the giveaway is my Compound, Complex, and Compound-Complex Task Cards. Teaching students to vary sentence structure is a requirement of the Common Core State Standards; however, it's often not an easy skill for students to master. In trying to determine what I could do to help my students gain a better understanding of this, I developed these task cards. I was amazed at the progress I saw and was even more amazed to see how engaged my students were when working on this! 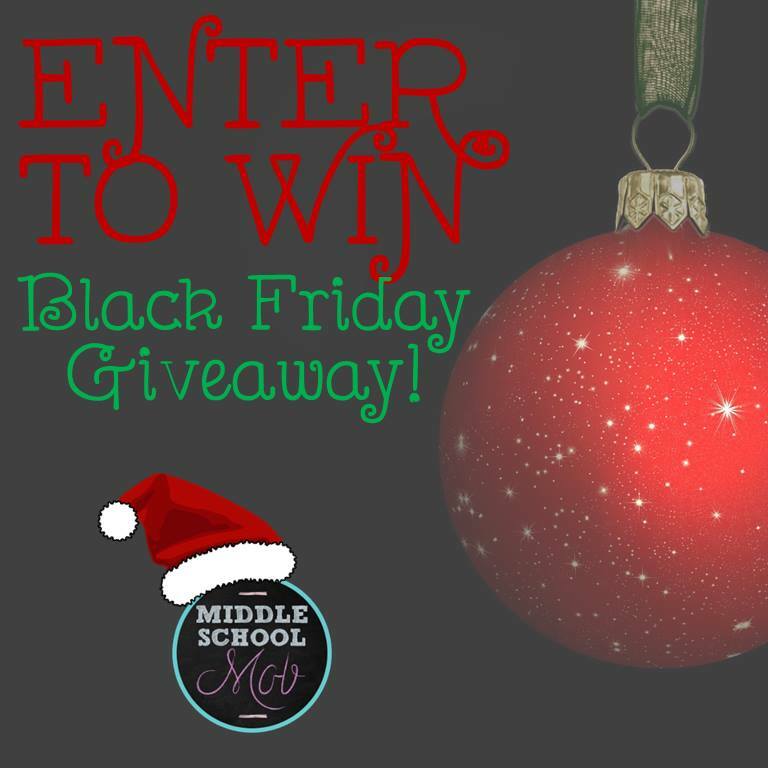 So make sure to enter the Black Friday Giveaway for some amazing products!! !